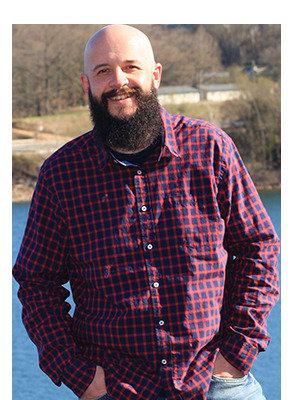 Jake Lewallen is a REALTOR®, Manager, and Co-Owner of RE/MAX Lakeside in Shell Knob & Kimberling City, Missouri on Table Rock Lake. Jake is a licensed agent in Missouri and Kansas and has been with RE/MAX® for over ten years. He brings a multi-faceted background to the Lake Dream Team and the office with his graphic design and technology expertise as well as his previous experience in the Hospitality and Construction industries. Jake and the Lake Dream Team have been RE/MAX Award Winners for the last 6 years. - Jake is passionate about making each real estate transaction the best. - He is dedicated to his clients and their needs. - His experience and knowledge are utilized to help control every step of the process whether you are a buyer or seller of residential, land, or commercial real estate. Jake is on the Board of Directors & is a Past President of the Bridgeway Plaza Association. He volunteers at Lakeside Christian Church managing the audio and video department. Jake is the Director Operations for His House Foundation, a non-profit organization in Shell Knob that has served over 15,000 free meals to the community every Tuesday evening. Family first. After time with his wife and daughter, Jake is a baseball lover, GO ROYALS! When he gets a free moment, he squeezes in some time for late night bowfishing including recreational tournaments with MurderCraft, his sponsored bowfishing team.